Lucky Vegetarian is located in the Alexandra Village Food Centre, which is close to the Queensway Shopping Centre. 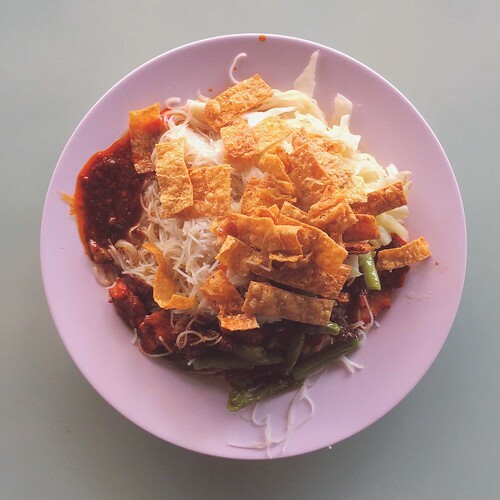 A vegetarian friend recently recommends us the Nasi Brayani from Lucky Vegetarian, so we decide to make our way there. 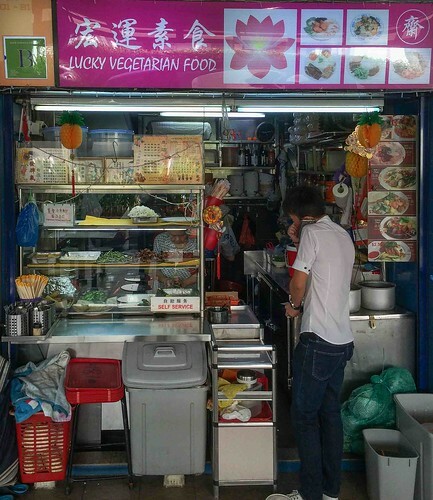 Lucky Vegetarian, like most Chinese vegetarian stalls, sold a special daily dish. We recommend that you arrive at about 11am, as their special dishs are very popular. Lucky also serves economical mee hoon and noodles during the morning. 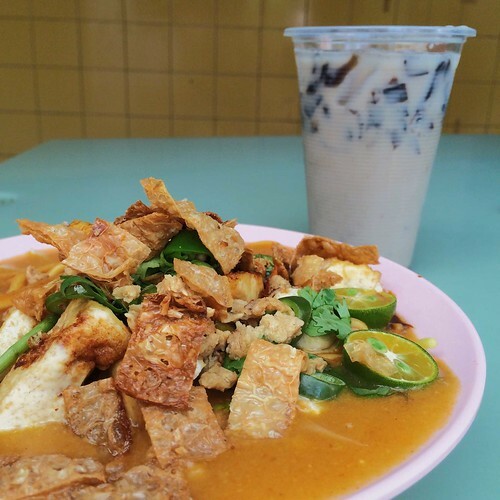 We find the Mee Rebus (available every Tue) disappointing. The noodles are overcooked. The gravy is not spicy and taste bland. The Nasi Brayani (available every Wed) is no doubt the star dish of Lucky Vegetarian. The mock mutton and potatoes are soft. 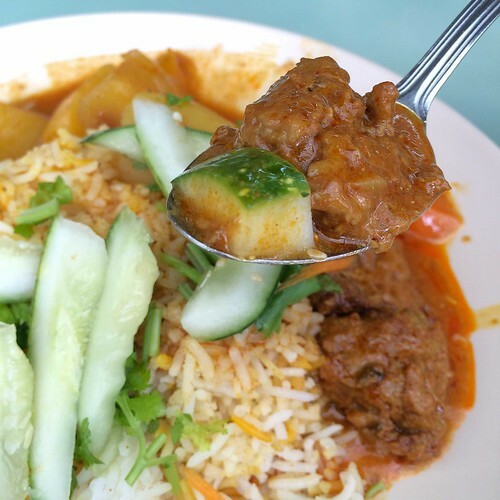 We especially love authentic fragrant rice and spicy gravy. We wholeheartedly recommend the Nasi Brayani. 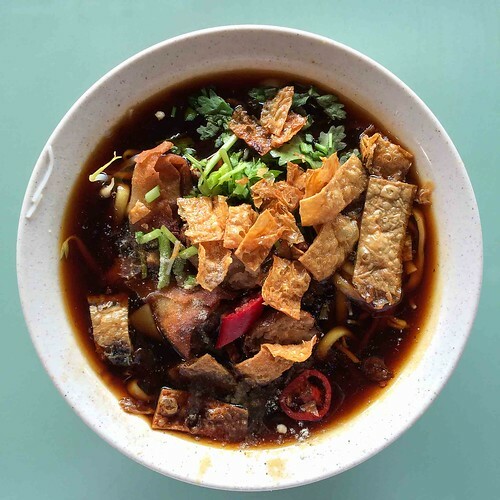 Lucky puts so much vinegar in its Lor Mee. There are only some sliced mock meat and bean sprouts. 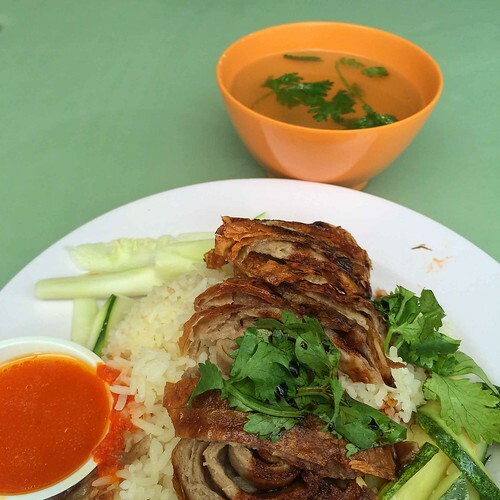 We absolutely recommend the Nasi Brayani and chicken rice from Lucky. 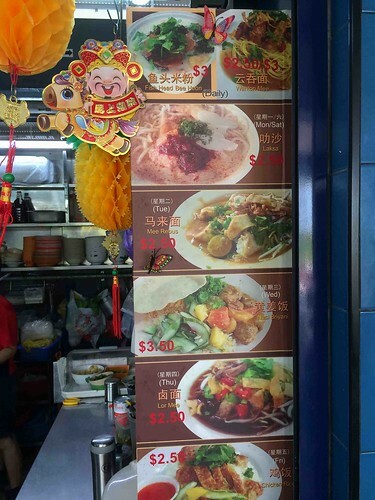 We take public buses from either Commonwealth or Queensway MRT to reach Alexandra Village Food Centre.